Just because this pair of holy grail sneakers isn’t going to be made available in Singapore doesn’t mean I shouldn’t cover it, especially since I really want a pair for myself. 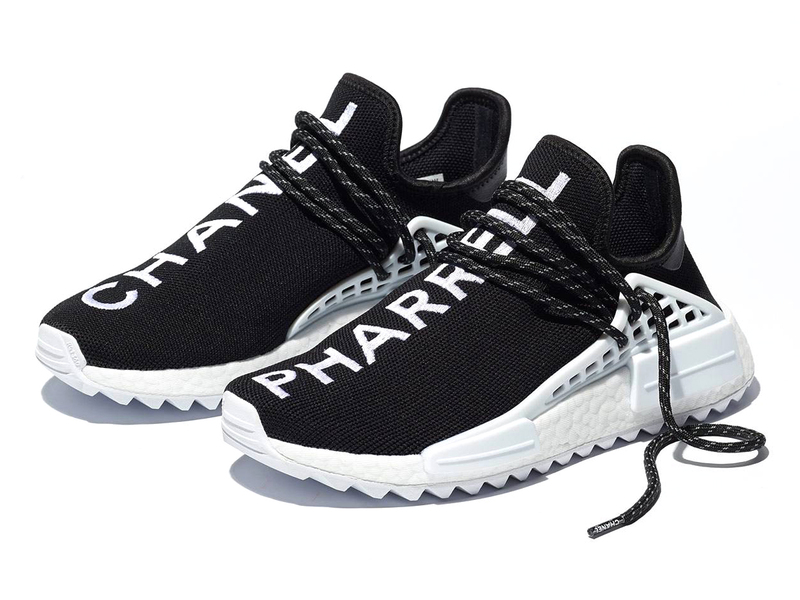 Limited to just 500 pairs worldwide, it’s Pharrell Williams’ latest collaboration with Adidas Originals, more specifically, a pair of HU NMD sneakers with the words CHANEL on one side, and PHARRELL on the other. So how does one get one? Well, for starters, you’ll have to take part in the online raffle, and if you are one of the lucky winners come 23 November 2017 (you’ll receive an email if you are), then you’ll have to show up at Colette in Paris at an appointed time to pick up your much-coveted kicks. Doesn’t matter if it will cost you EUR1000 a pair, because when will you ever get a chance to own a pair of Chanel-approved, Pharrell-designed kicks, right?